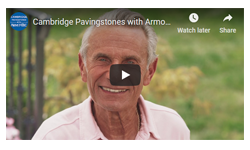 Don't miss a Must Read Message from Charles H. Gamarekian CEO/Founder before making any Pavingstones or Wallstone Purchase. We have NEW colors, design ideas and products like our new XL 24x36 and Blackburn Natural Stone additions for 2019. 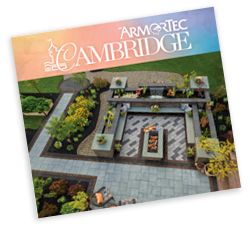 Insist on Cambridge Pavingstones system with ArmorTec® for your patio, pool deck, walkway and driveway. Hundreds of colors and patterns from six collections! Install freestanding walls, knee walls, sitting walls, retaining walls, planters, tree rings, garden borders, columns and more. See our NEW Wallstones 3-Color Blend options. Outdoor Fireplaces, Pizza Ovens, Bar Modules, Kitchens, BBQ & Firepits, Pergolas, Pavilions, Fountains, Waterfalls, Columns, Finishing Touches, Accessories and More!